Trillium-II continues the efforts of Trillium Bridge to achieve progress on its recommended actions and advance adoption of the International patient summary supported by broadly and consistently implemented standards. Starting point for Trillium-II is establishing its global community fostering the practice of digital health innovation. Concrete community actions aim to bridge, harmonize, evaluate and guide existing and emerging patient summary initiatives, leading the way toward one international patient summary standard. Identify key use cases for secure, seamless sharing of patient summaries at personal and population levels. The topic of the patient summary is quite popular among international and European standards developing organizations. Supporting initiatives are with ISO, CEN, and HL7 with value sets originating in SNOMED, LOINC, EUCM, ATC, ICDx, etc. Standards sets activities in (JIC) and bundles (ISO) aim to advance the concept of profiles, initially introduced by IHE and further explored by HL7 FHIR. Aligning these initiatives through communication and awareness activities is one of the key challenges for Trillium II. Besides standardization activities, regional and national competence centers engage in use case specification in the context of regional or national eHealth projects. Connecting these initiatives to standardization to highlight best practices and share resources where possible is another aspiration for Trillium II. This is where the global community for digital health innovation practice comes to play a key role. The purpose of the Global community for digital health innovation practice (GC-DHIP) is to identify relevant projects and use cases of interest that will help validate and promote the use of international patient summary standards in demonstrations, readiness exercises, and other pilot projects. 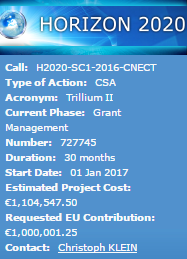 Founding members of GC-DHIP are members of the Trillium-II consortium that have committed to pilot project demonstrations. Additional organizations and pilot projects implementing patient summaries will be invited to join. eHealth programs of Luxenburg (eSante), Catalonia, Spain (TicSalut), Denmark (MedCom), Portugal (SPMS), Sequoia (US), HSPC (US) are part of the steering committee of GC-DHIP and Henrique Martins, is the first chairman. 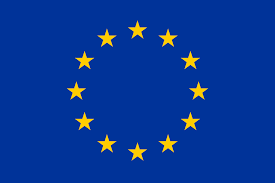 The community has also close connections to the eHealth Digital Services Infrastructure services established under the Connected Europe Facility.